Statistical data show that China will need 6810 new aircraft over the next 20 years, the total value of more than US $1.0 trillion, Chinese civil aviation fleet scale will increase to nearly three times than now. By 2034, China’s new aircraft accounted for 16.6% of the total global aircrafts, accounts for 42% of the total number of new aircrafts in the Asia-pacific region, its market value also occupies the world of 17% of the total value of the new aircrafts, and China is expected to surpass the U.S. in 2030 to become the world’s largest aviation market. As the neural network of the aircraft, the avionics technology is upgrading rapidly, and the updating of the avionics product is much faster than the whole aircraft system, ‘a generation of aircraft, the three generation of avionics’, from which we can see that the sustainable growth of avionics system is better than the average level of the aviation industry, with the speeding up of the research and development of China’s civil aviation market and the influence of the aircraft fleet updates coming, In the next few years, China’s avionics market will present the trend of accelerated growth. 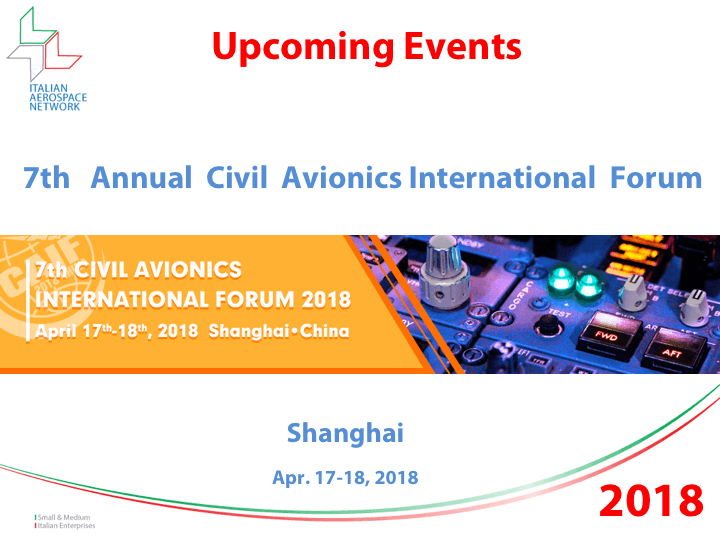 A warm welcome to participate to the 7th Civil Avionics International Forum.